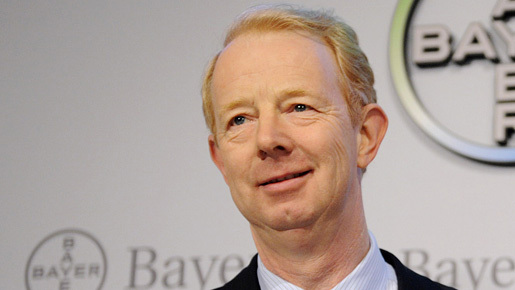 In November 18 2010, only six weeks after being appointed chairman of the board of management of Bayer – the global pharmaceutical, healthcare and chemicals company – Marijn Dekkers announced a major change in the multinational’s strategic direction. He put a new emphasis on researching, developing and marketing new products, particular in HealthCare and CropScience, and on expanding activities in emerging markets. He also conceded that sales and earnings at Bayer were under pressure from generic products, from rising development costs and from the effects of healthcare reforms. ‘To finance the expansion of our growth activities, we therefore need to redirect resources, improve efficiencies and cut costs,’ he said, announcing global cost-savings of €800m, which he explained would be achieved partly through reducing the global headcount at Bayer from 108,700 by an aggregate of about 2,000 by 2012. Approximately 4,500 positions – including about 1,700 in Germany – would be cut, while some 2,500 new jobs would be created over the same period, especially in the emerging markets. Overall, Dekkers summed up his new strategy as ‘more innovation, less administration’. The migration, in effect, of jobs from Germany to emerging markets also signalled an important new trend at the global giant. Marijn Dekkers has done a fair amount of migrating himself; first from his homeland, the Netherlands, to New York where he began his career as a researcher at General Electric before joining what was then Thermo Electron, based in Waltham, Massachusetts. Then, in 2010, he returned to Europe to work at Bayer’s global corporate headquarters, based at the North-Rhein-Westphalian town of Leverkusen. It’s a location close to Dekkers’ roots: his hometown of Tilburg is only about 150 kilometres from Leverkusen, while Düsseldorf, where he lives today, is about 30 kilometres north of Leverkusen. His US career brought him more than just impressive CV credentials; his wife Andra, a chemical engineer he met at a GE lab in the early nineties, is an American. The international nature of Dekkers’ career extends even to how he brings up his teenage daughters, who go to Düsseldorf’s international school. ‘I’d rather have a longer journey to work so that my children are only a stone’s throw from their school,’ he says. Still, when it comes to his favourite foods – Flemish fries and Dutch bitterballen – his tastes remain resolutely those of his homeland. When Marijn Dekkers was growing up there, he reached number two in the Dutch youth rankings for tennis and was tipped for a professional career. From his boyhood he’s had a tennis player’s build; he stands 1m 80 and is the proud owner of a photograph of himself as a young man, in tennis gear, standing next to the iconoclastic tennis genius turned talented and highly successful sports commentator John McEnroe. Dekkers’ mother passed away when he was still only young, and as his two older sisters had already left home, he decided to stay at home for his father’s sake rather than travelling away to play in tournaments. This led to Dekkers losing touch with the professional tennis world, and before long he abandoned his sporting ambitions. Born in 1957, Dekkers’ original ambition was to work at a top university as a professor of chemistry, a subject that began to fascinate him when he was still a teenager. In 1976 he started studying chemistry at the Catholic University in Nijmegen, then three years later switched to chemical technology at Eindhoven University of Technology, where he developed his love of science, and especially the science of plastics. His doctoral thesis, The Deformation Behaviour of Glass Bead-Filled Glassy Polymers, might never have been likely to rival Harry Potter when it came to mass-market appeal, but on the other hand advanced technology is, unlike Harry’s spells, real magic. It’s to this real magic that Dekkers has devoted his career, first as a technologist himself and then as a widely-respected and admired leader of technologists. The young man who once thought seriously about becoming a tennis pro has come a long way. In his new passion for re-engineering Bayer so that it streamlines its innovation capabilities at the expense of some of its administrative baggage, he clearly sees himself as a man with a mission, and he intends to win this most ambitious of matches in straight sets.